Note: There’s an update you should read below. I doubt he’s going to end up reading this, but just in case…..
At this very present time in your life, I understand things are incredibly difficult. You have been held up in the Ecuadorian embassy for four years now over the rightful fears of assassination or extradition to the United States in regards to leaking state secrets. Such immense amounts of stress can cloud a person’s judgement and this is what has inspired me to write this open letter to you. During your bust of a press conference on Tuesday, I was able to spiritually connect with you for a moment in time. My probing of your thoughts revealed that you seem reluctant to release what you have on Hillary Clinton, the Democratic party and the United States government. You don’t want to be accused of being an agent of Russia or influencing an election and such accusations have been weighing on your brain heavily. However, as much as some might judge you for being a Trump/Putin agent or interfering with a sovereign election, the release you have been planning must be done. Frankly, it should have been done a long time ago, but it needs to be done now rather than later leading into never. You should not allow the voters to go through to November 8th without the pertinent information that you have on how our system works. You yourself have said that your leaks have made monumental change in policy and public awareness for issues of dire importance. The public is owed this information to make an informed decision about how to go about bringing about a revolution that makes government accountable to its people. The American public needs the kick in the pants to get inspired to do it. Don’t keep it up anymore. Every day you delay is another day where the masses are kept in the dark. An even more pressing issue has to do with the ability to even leak this information. If you wait too long for this leak to occur, then you will likely be assassinated and the information may never come out. When you chose to go against the US government, you always knew what the risks were for doing so. Don’t back out now because of fear or peer pressure. I’m hoping your resistance to doing the right thing is temporary. It would be a shame for the nation, and the entire world, if you defected at the last minute for fears of retaliation beyond your control. Hope you make the right call in the end. 11/3 Update: This might be out of date with new FBI revelations that have reopened the case into Hillary’s emails and the Clinton foundation, but it’s important to share just in case. Julian Assange recently had his internet shut off and I suspect it may have something to do with his unusual behavior as of late. The threats on his life have seemed to get to him and it’s why he’s backing away from pushing the most devastating leaks that he has. There was a sense that perhaps he either is dead, but it turns out it was only in the moral sense. Not wanting to effect the election has been a constant struggle for him, as I’ve previously stated above. However, it is important to share the most damning information in the next few days and I hope he does. The fate of the world depends on it. Before I post a long post that will be addressed to a very reluctant to do what he should do Julian Assange, I have some predictions and dreams to share with you all. Enjoy. 1) I had a dream of a breakout from a mental health facility. I believe there will be breakouts from mental health facilities in the near future as a result of that dream. 2) The continent of Asia is about to be met with real turmoil. Africa should be fearful of what is to come as well. Some may say the precipitate is economic, but war looms in the background. 3) I really hope that the US and Russia re-enter the negotiating table over Syria soon because if a no fly zone is declared this month, World War 3 follows very soon after. 10/11 ETA: This is sort of a repeat prediction, but it’s more of a clarification on dating for fulfillment purposes. It deserves to go here. 4) Many months ago, I wrote about a dream I had about Kanye West and Kim Kardashian. I wrote about how they were living in isolation and the threats to their lives were immense; hinting at potential assassinations/murders. Since that dream, Kanye’s elevation to almost God like status has raised major alarms in my head. This video of crowds chasing him through the streets of Manhattan immediately raised an alarm and indicated that he has become too big of a threat for the powers that be to contain. Threats to his life have been around for a while; likely since 2005 when he famously said that then President George Bush doesn’t care about black people. As his prominence rises and his credibility is taken more seriously, the threats of his exposing the elite linger and the final call to eliminate him seems imminent. The most severe warning sign took place just this month when Kim Kardashian was held at gun point in Paris. As Kanye approaches his 40th birthday, the connection to the late John Lennon strikes me. This is particularly so because both have worked with Beatle Paul McCartney and both had wives who the public didn’t take very seriously (and still don’t). Those similarities, coupled with my previous dreams and the threats that came to John Lennon years before his assassination, give me the strongest evidence to declare a date and location for a murder of Kanye and possibly Kim in the near future. The vector date that I can confirm is December 8th, 2017. Though the base 7 dating is off by one year (the 28th, or 7×3, anniversary of Lennon’s assassination is in 2018 not 2017), the fact that Kanye will be the same age and in a similar period of resurgence as Lennon should make it clear that the time between June 2017 and December 2018 will be the most dangerous in his life. Just for caution, however, it should probably be monitored starting now as the 14th anniversary of a serious accident he was in occurred in October 2002. Watch for his safety starting this month, but especially after he turns 40 next year. 10/12 ETA: This prediction doesn’t seem very important in that it was a minor blip in a dream with a lot of different metaphors and visuals. I’ll try to interpret those later. In the meantime, here’s a prediction I took from it. 5) The live action movie Mulan will hire if not all white actors, then white actors in the lead roles leading to outrage amongst the Asian community. Much backlash to Disney will follow. 10/17 ETA: Another prediction clarification. 6) As I mentioned in my predictions for September blog, watch out for the Wikileaks release on Google. It might be a catalyst that causes the economy to collapse. 10/24 ETA: Not a prediction so much as a hint of what I might be posting next. 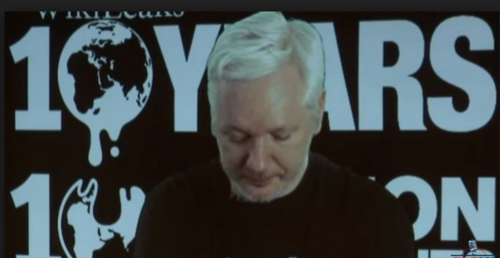 7) I’m having a very bad feeling that Julian Assange has been compromised in some way. I’ll post about this in the near future. If he is, Hillary has officially stolen the election for good. I hope I’m wrong. 10/28 ETA: Two more dream based predictions. 8) I had another dream about the election and how Trump wins it (if Assange hasn’t been compromised, which I’ll write about another time). On November 8th, Hillary is declared the winner but four states are flagged for a recount by the Trump campaign; Florida, Ohio, North Carolina and Pennsylvania. After as many as two recounts in these states, Trump narrowly takes them and the supreme court upholds this verdict. This gives him the keys to the White House even when he loses the popular vote. 9) I wrote many months ago about violence for a potential Keystone XL Pipeline. When that project was blunted, the prediction now seems to be fulfilling itself for the Dakota Access pipeline in North Dakota. Violence has already taken place and I fear the worst is yet to come. Expect workers to be murdered by Native American tribes and a murder attempt on the owner of the pipeline. These tactics send shockwaves and see the end of the pipeline’s construction come about.